Hi Terri, I enjoyed your shopping trip to SuzAnna's very much. Thanks for taking me along vicariously. Lots of pretties there for sure! What a fun store to browse! I have a granny square throw like the one pictured, made by my paternal Grandma. A real treasure! Thanks for hosting and have a great week! Definitely a drool-worthy place to visit! How I wish we had something like that here. Oh, what fun I would have poking around in there! Thanks for taking me along. 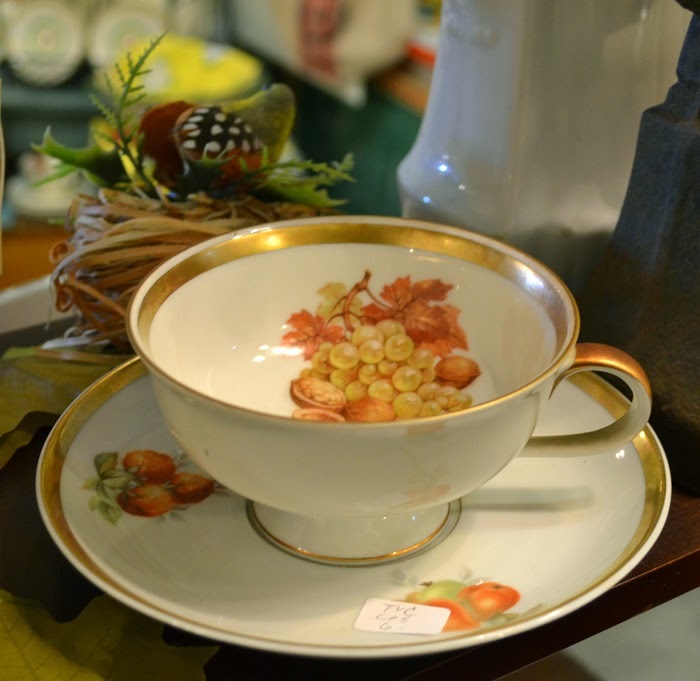 So many lovely things and oh, the china! I really love the lavender transferware. The Christmas balls hanging from the ceiling are so fun too. Thanks for sharing and enjoy your week. Hi Terri. OOOOHHHH I'd LOVE to visit that shop! How fun! I bet you have found some great treasures! Thanks for allowing us to tag along via your post! Thanks for hosting! What a so cute shop! Iwould like to find some like this in France! There's some, but very expensive!The cup you show at $6 would be 20 to 50€!!!!!! I understand you love this shop! 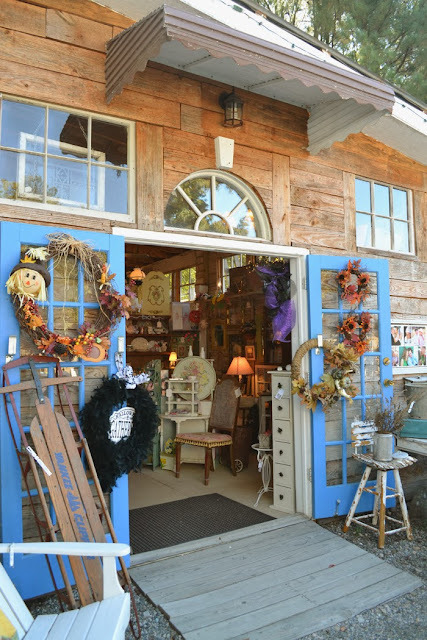 Wowness..that was such fun, one of my favorite things to do..what a beautiful place..love that front entrance/ door..colorful! I spotted so many treasures, chairs and things I adore..thanks for taking me on such a fantastic journey with you! 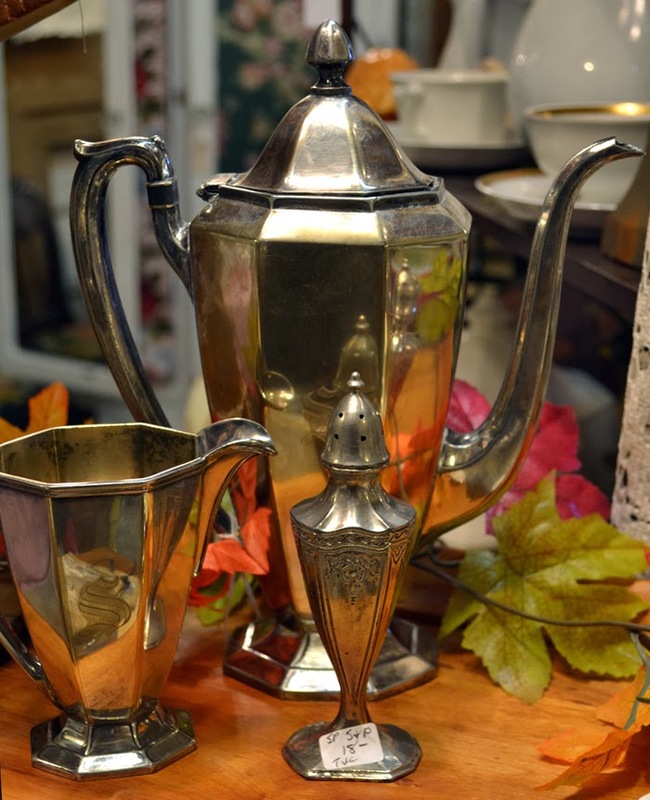 Love the silver tea sets and always adore lavender transferware..! Wonderful tea cups too! yay Terri, that was such a treat! Wishing you a beautiful day! Hi Terri, this is my kind of shop. 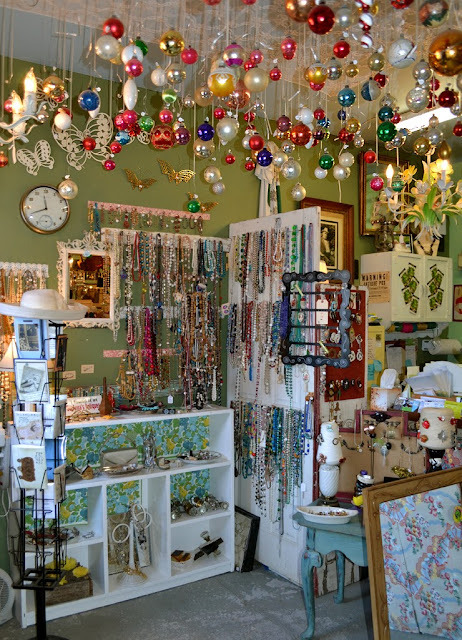 If only I live close to Suzanna's shop, I would be her regular customer. So, what did you get from there? Oh boy, that is my kind of place. What fun to browse through, even if not buying anything, it is worth the nostalgic trip. 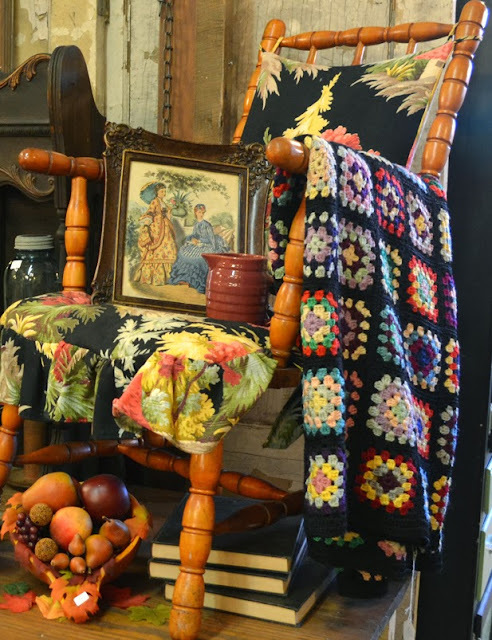 I had the same afghan growing up and even have one now with a few holes... Loved the Christmas balls hanging from the ceiling at the jewelry stall. 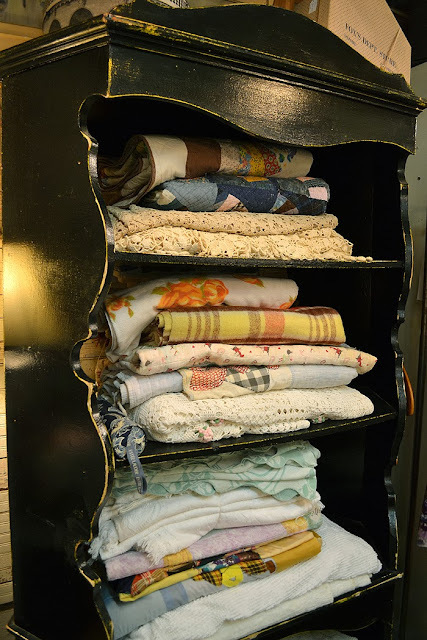 Hutches full of china, old quilts...ah, be still by heart. 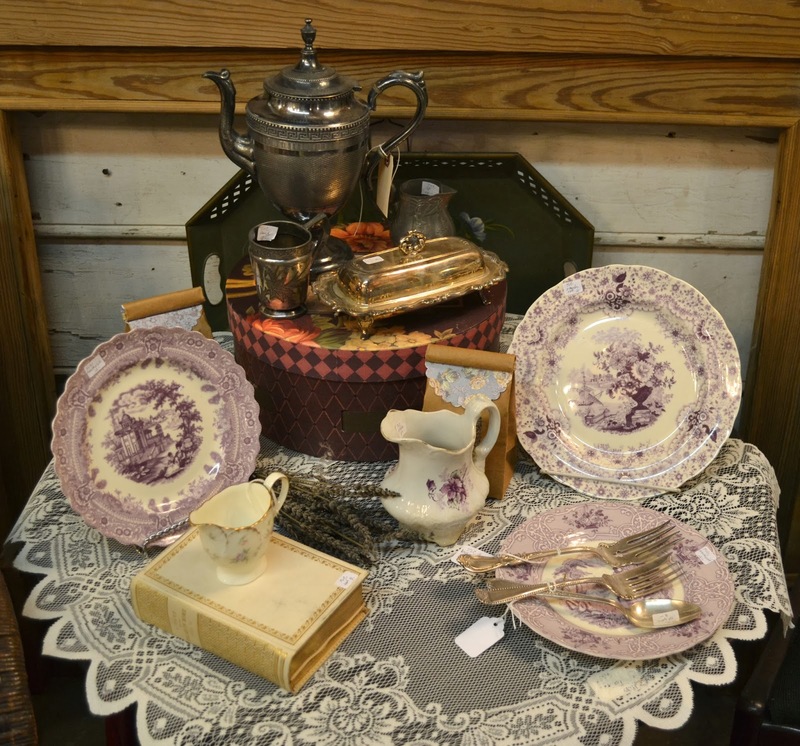 I swooned over the purple transfer ware. What a pretty shop, I would love to spend a few hours in there. 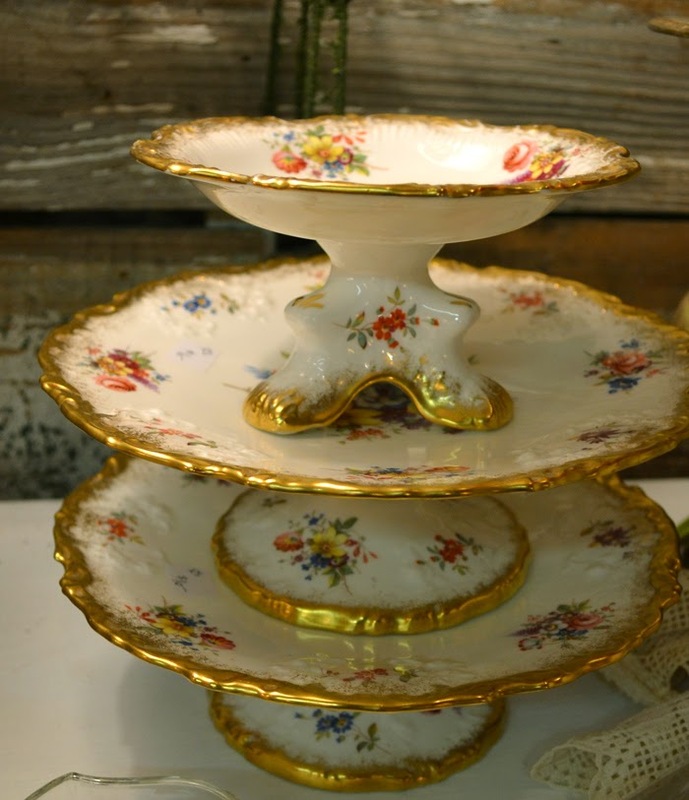 Hello Terri, I discovered your blog today and it's my first time to join your TeaCup Tuesday linky party. I love this theme cause I'm a tea lover :D This is great for me to showcase the teacup postcards I've received. 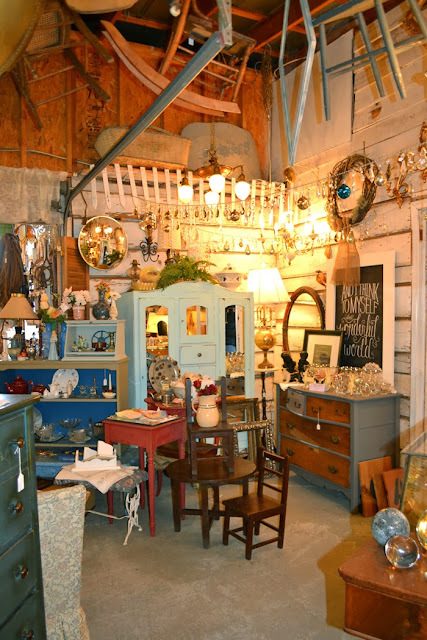 I love this feature entry you have for SuzAnna's Antiques. I would have loved visiting her store, it would be awesome for sure to see it for real! 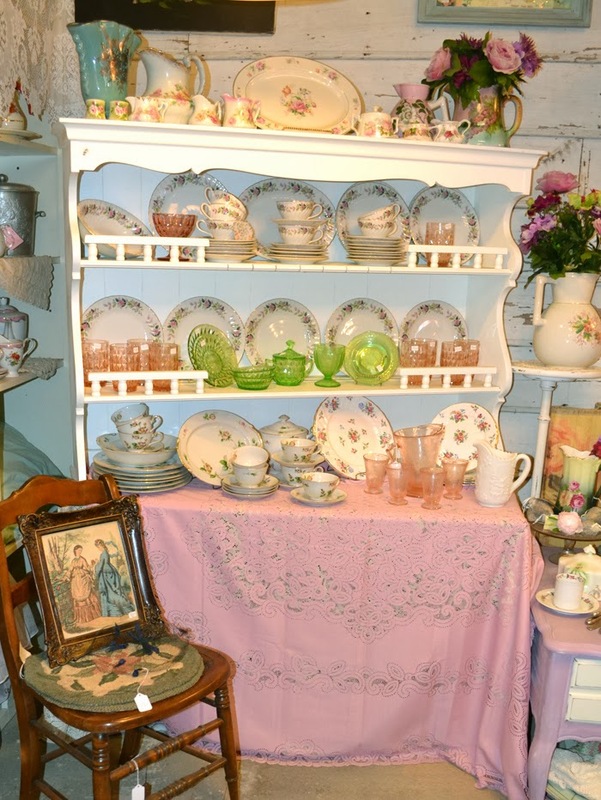 So many lovely and adorable items. My kind of place for sure. I have family in NC and my best friend moved to Clayton, NC this year. Looks like I need to visit her soon. Thanks for your lovely pictures. Be still my heart! 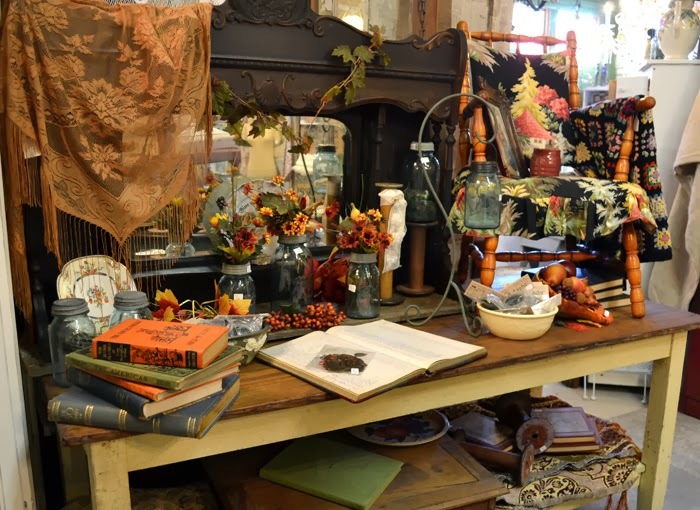 I could spend an entire day in this shop, this is my kind of shop, thank you so much for taking us along! Very lovely! I'll take the mulberry transferware. So beautiful. Love the ornaments hanging down. Wow, what an amazing shop! I love stores like this. The lavender transferware is so pretty. 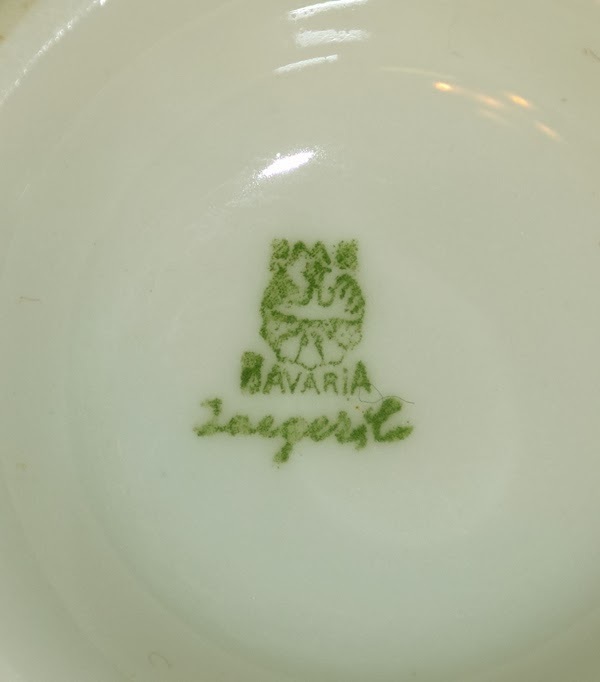 The backstamp looks like it says Jaeger Co underneath Bavaria. 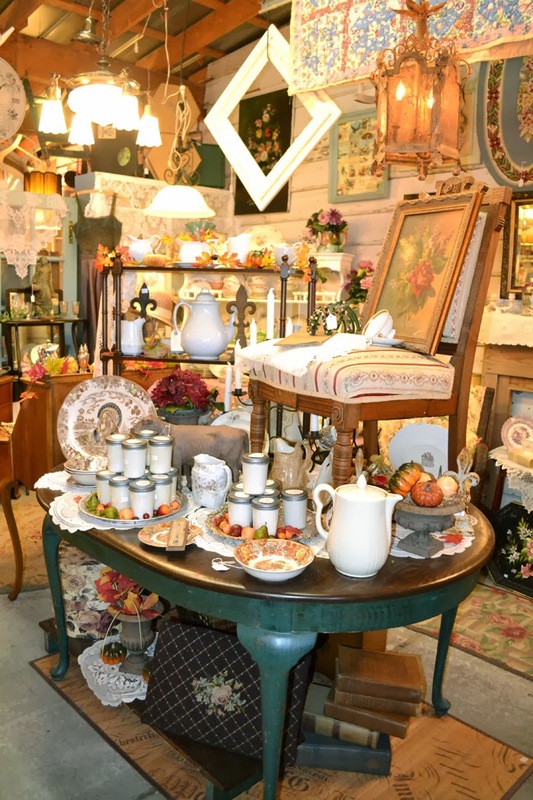 How lucky you are having such places to spend some wonderful hours, looking and shopping . I can see only from your pictures ,that there is beautiful things for everyone to wish for, and that I would LOVE spending hours there. What a fun shop. 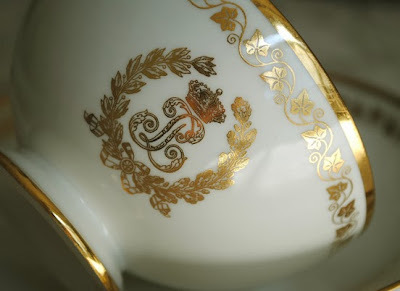 I love the china and old linens best. This last week I was at my Mom's in Vrginia for her funeral and I washed several afghans just like the one you show. One I put back on her bed. This shop looks wonderful! 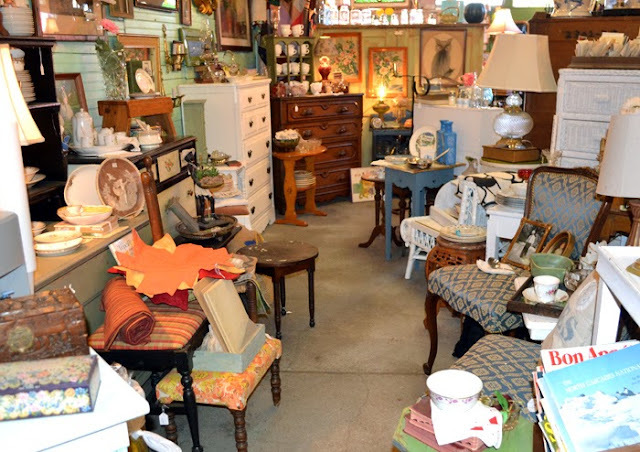 Thanks, Terri, for letting us accompany you on this tour of such an interesting shop! Lots of things to see...and to buy! Your gilded tea cups are very elegant, very French-like, whether they are Sévres or not. I can't help with Bavarian china, but I read in the comment that you had help. Also, the name in orange is the name of the pattern according to me, I might be wrong though as I don't personally own any Sevres Porcelain and it stands for "Château de Fontainebleau". 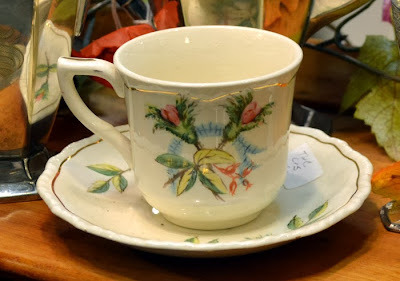 I believe those cups were an amazing find, they are lovely, authentic or not. scroll down to see aprox. the same mark. Always love to see your teacups and the explanation you give. I need to visit so we can go shopping! Lovely store! Thanks for hosting! Oh Terri one day if ever I come visiting you will have to put this shop on your list. 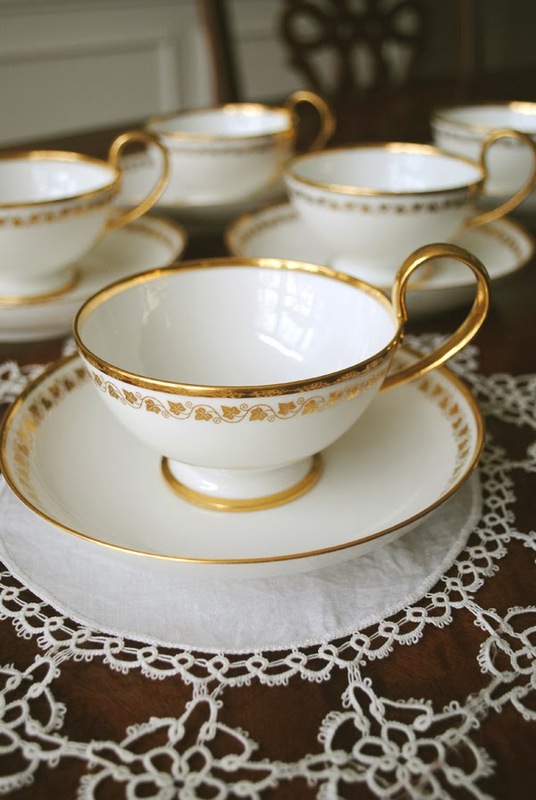 What gorgeous white and gold cups and saucers. I don't think I have ever seen lavender transfer ware and I did spot some silver plated goodness in a lovely pot! 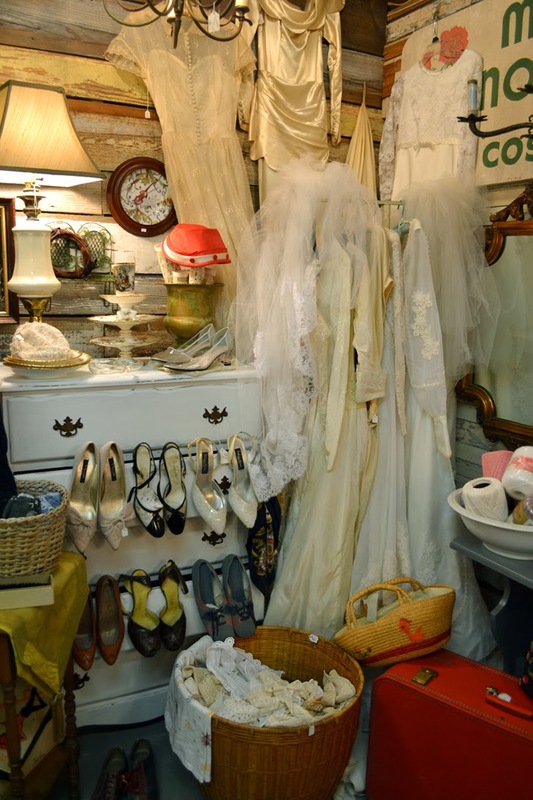 You are such a lucky girl to have these shops nearby! Makes me feel like I'm living on a desert island but that's OK cause I can get on with my creating. thanks for taking us along to SuzAnna's.What a wonderful shop filled with treasures:}I couldn't make out the words on the cup - orry. 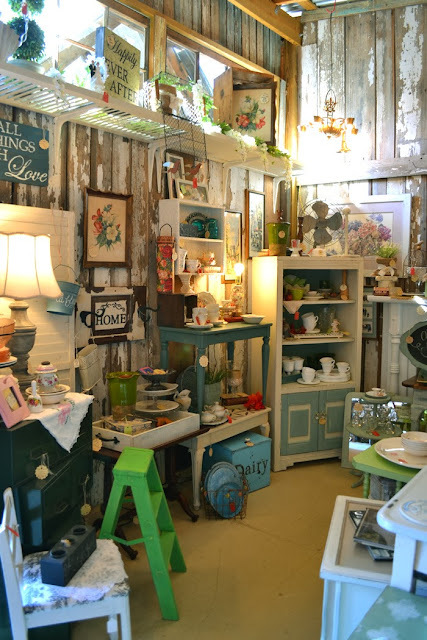 That shop is adorable. I love the remnants of paint on the wood boards. So many good stuff in there too. I can see why you love spending time in there. The cups are gorgeous and sophisticated. Love them. sorry, that I come so late. What a fun to visit this store. 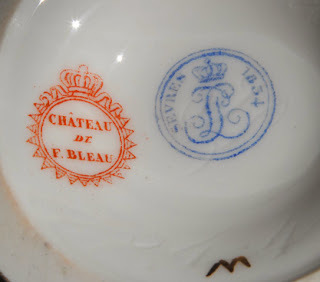 The French tea cups are so interesting with the backstamps. There are so many nice things more to see (and to buy!). Thank you for sharing and for hosting this sweet event. Una maravilla esa tienda de antigüedades, yo me perdería en ella con todas las cosas preciosas que hay: tazas, manteles, mantas tejidas ganchillo... Todo maravilloso. une vraie caverne " d'Ali Baba"
quel bonheur de " fouiller "
oh such a lovely place, thank you for the visit! What a wonderful shopping trip you've taken us on. Love everything! Your teacups are amazing. I have some of my mother's collection. Very special to me. I just viewed your tutorial on tissue paper printing... awesome! Thank you so much for a great method of accomplishing this. That's quite a place, Terri...you are so lucky to be able to visit there. The beautiful lacy dresses and the shoes caught my eye especially.